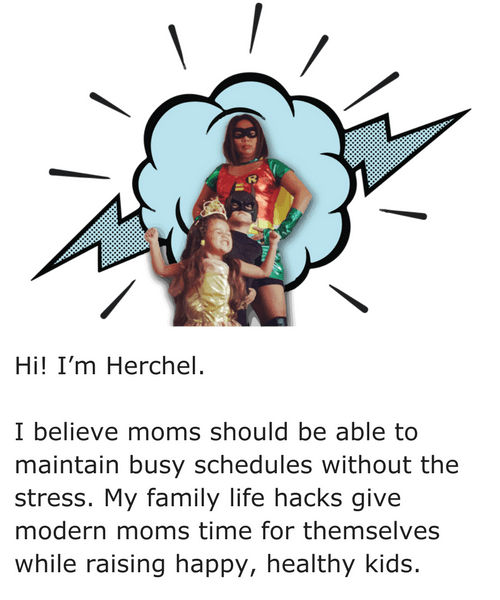 Do you find yourself invited to family gatherings or dinner with friends during the month of December? Visiting with friends and family and giving is what the Christmas season is all about. I love to make small gifts to bring along with me. 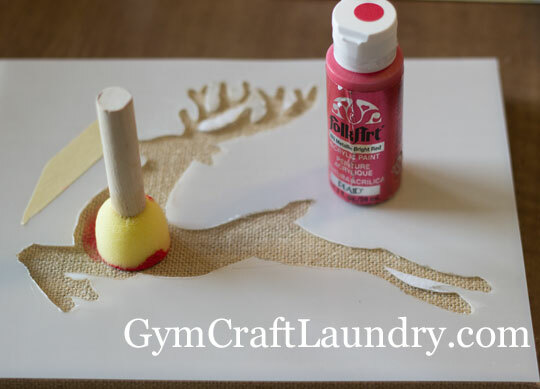 If you don’t have a lot of time but you love giving handcrafted gifts, try this quick project. 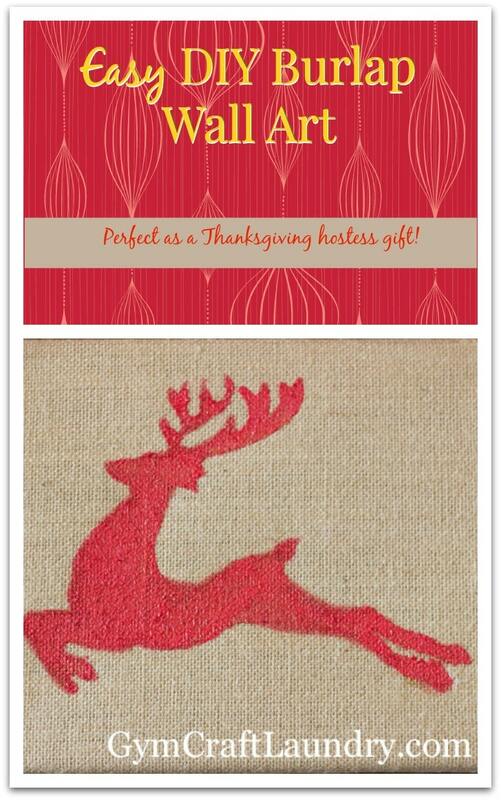 Make an easy homemade burlap canvas gift for your hostess. bottle of acrylicred metallic craft paint. If you are feeling frisky, you can grab a stencil cutterand stencil blanks and try to make your own stencil. Use painter’s tape or stencil adhesive to hold the stencil to the canvas. Then gently, with a thin layer of paint, use the pouncer to paint inside the stencil. Remember that you can always add in layers of paint but you can’t take any away. Gently, remove the stencil. I like to let the paint dry for a few minutes before removing the stencil. 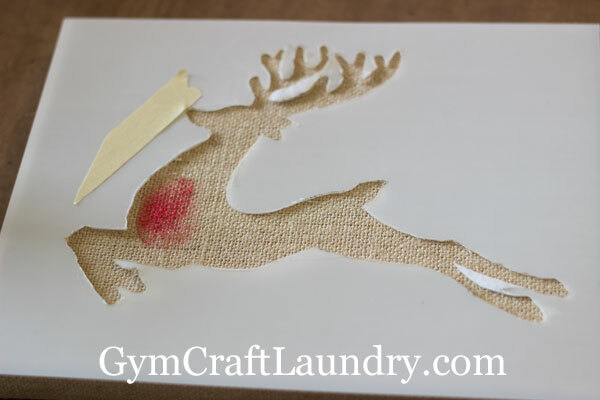 Your reindeer burlap canvas wall art is done and yes–it was really that easy! Let dry a couple of hours. 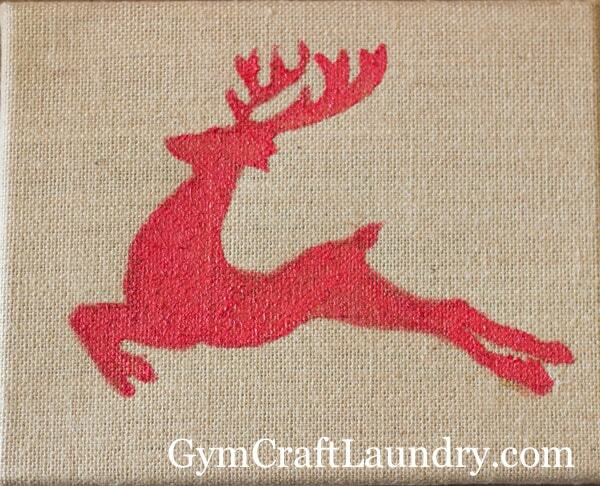 Want to see more easy burlap wall art that isn’t Christmas themed? Make sure you check out our other burlap pieces! I love how easy and classy this is! Pinning and stumbling! Very cute! I think I’ll invite you over so I can get one!! 🙂 Thanks for an awesome idea!